Inside Sports | "Changing the world, one sport at a time." The NHL trade deadline featured the typical flurry of activity. There was a deep market for wingers, which allowed some contenders to infuse offense into their lineup at modest costs. Meanwhile, some sellers loaded up on draft picks and prospects to strengthen their rebuilding efforts. David Poile continued to excel, as the veteran GM landed a trio of multi-faceted veterans in exchange for two middling forwards and without having to surrender any first-round picks. Mikael Granlund arrived to the Preds, who turned the potential of Kevin Fiala into an immediate upgrade, and one that provides speed, positional versatility and the ability to play in all three situations. Ryan Hartman was sent to Philadelphia in exchange for heart-and-soul winger Wayne Simmonds, while a second-round pick landed Nashville a sound checking center in Brian Boyle. Simmonds should provide a much-needed boost to a struggling power play that has only recently had its full complement of players. Both he and Boyle add size and grit to what now appears to be a complete team between an outstanding top four on defense, two capable goaltenders and a reinforced group of forwards. It may be hard to see the Sens holding any trophies in this or any season soon, but they have accumulated picks and salary flexibility that could carry them to a great spot in the not-too-distant future. After scrambling to acquire forward Matt Duchene last season, they got a solid haul for him, Ryan Dzingel and Mark Stone, all of whom were unlikely to re-sign with the Sens. As of tjis moment, they will have more picks in the first three rounds combined in the next three seasons than any other team. They also landed Erik Brannstrom, a Swedish defense prospect who has shined in both World Junior competition and the American Hockey League this season. Making the major assumption that Ottawa will be guided by competent management and, murkier still, supportive ownership, the Sens may have at least contained the dumpster fire that has ravaged their organization since their conference finals appearance just two seasons ago. Amid a free fall from grace, one of the league’s best organizations finds itself handcuffed by long-term contracts to aging players, inundated with injuries, and in complete flux at the top levels of the organization. Having made a series of trades already involving peripheral players, the Ducks have done little to impact their fortunes positively with a series of wheel-spinning deals by General Manager and interim coach Bob Murray, who recently stepped behind the bench after relieving Randy Carlyle of his duties. At the deadline, the Ducks re-signed winger Jakob Silfverberg to a five-year extension, and also added a first-round pick. On the surface, that sounds fine, but Silfverberg will soon be another relatively big-ticket player in his 30s on a team already struggling to accommodate the contracts of Ryan Kesler and Corey Perry, among others. Additionally, the first-round pick came at the cost of fluid-skating defenseman Brandon Montour, who remains under contract through 2020 and under team control once the deal is up. He now bolsters a Buffalo blue line that seems to be the final component in the Sabres’ rebuild. Like the Ducks and Minnesota Wild, the Oilers have been active this year but the results have been negligible. They have made changes at the top – they replaced both their coach and general manager–and at the bottom, shuffling around pieces from the lower regions of their roster, but to little avail. Their deadline came and went without any significant improvement to their roster or cap situation. Even modest potential goals like better protecting star center Connor McDavid or bringing in experienced players to stabilize the roster went unaddressed. 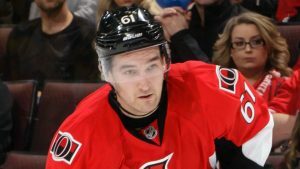 The Golden Knights ostensibly snagged the prize of the deadline, when they acquired winger Mark Stone, a point-per-game-plus player who had perhaps even more remarkably, posted a positive plus/minus rating on an Ottawa roster where only one other regular has done so. The cost, however, was high, in dealing an outstanding defensive prospect in Brannstrom and a second-round pick for the rights to Stone and his expiring contract. Vegas doubled down by signing Stone to an eight-year, $76 million extension. This season, only nine players had a cap hit north of the $9.5 million that Stone will carry against the cap. One could say that the Knights landed the biggest talent available and locked him down through his prime. However, they did so at a premium when considering both the size of the contract extension and the assets they sent to Ottawa in order to have the opportunity to present the deal to Stone. Columbus was the biggest question mark heading into the deadline. They were on the playoff bubble and were facing an offseason where they were likely to lose their All-star goalie, Sergei Bobrovsky, and their most lethal scorer, Artemi Panarin. Rather than become sellers or balance acquisitions by moving Bobrovsky and Panarin as rentals, the Jackets shoved every chip into the center of the table. They made a substantial investment in Duchene, which will be even more substantial if they manage to re-sign him. Also, they sent futures away for Dzingel, netminder Keith Kinkaid and defenseman Adam McQuaid. They may end up with more pending unrestricted free-agents on their roster (six) than they have draft picks in the next two drafts potentially (as few as five, with two of those being in the seventh final round and potentially no picks in the first three rounds). For a franchise whose success has been sporadic and in short supply, going “all-in” may signal a commitment to the fans, but without a deep playoff run, the Jackets will have undoubtedly short-changed their future. In a spectacle that combined man-made pageantry with natural adversity and a tender farewell, on Saturday, Feb 23, the Philadelphia Flyers finally won an outdoor game ,on their fourth opportunity. Their 4-3 win over the Pittsburgh Penguins was capped by captain Claude Giroux’s overtime goal. With less than five minutes remaining in regulation time, Flyers wingers James van Riemsdyk and Jake Voracek had each scored with their goalie pulled, to force overtime. Philadelphia Center Sean Couturier, as well as the Penguins’ Evgeni Malkin, Sidney Crosby and Justin Schultz scored earlier in regulation. Nearly 70,000 fans packed Lincoln Financial Field despite rain that plagued the ice surface. The enthusiasm of the crowd was not diminished by the weather, with many fans showing up in the morning to pre-game for the 8 PM start. A fan festival with interactive games, appearances by NHL alumni and a mobile exhibit on the history of black hockey players entertained those on hand throughout the afternoon. The game appeared all but decided as Pittsburgh carried a 3-1 lead late into the third period. A bad hop and a miscue by Flyers goalie Brian Elliott had seemed to give Malkin and the Penguins an insurance goal, but it was not to be. The Penguins had played most of the game without their top defense pairing after Brian Dumoulin was injured by a Wayne Simmonds shoulder check and then his partner Kris Letang also sustained an injury in the ensuing first period melee. Their lack of depth on defense was compounded by three soft goals allowed by goalie Matt Murray. “I feel like (expletive),” Murray bluntly stated after the game. 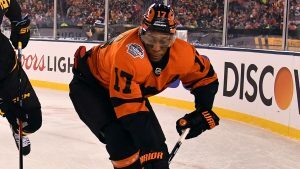 For Simmonds, the fanfare was especially apropos, as this was his final game in a Flyers uniform, despite team leadership having made an appeal to team management, to retain Simmonds. The winger, who can become an unrestricted free agent on July 1, was traded to the Nashville Predators on Monday, in exchange for forward Ryan Hartman and a conditional draft pick in 2020. Looking at the odds for Super Bowl LIII, it appears as though this one may truly be a classic. Initially, the New England Patriots opened as a one-point underdog, but just days later, became a two-point favorite, to prevail over the Los Angeles Rams. One thing is for sure, there are going to be plenty of fireworks when the two teams meet at Mercedes Benz Stadium in Atlanta on February 3rd, with the Lombardi Trophy at stake. At the most important positions, this is a matchup of wily old vet vs. young lion. Legendary Patriots head coach Bill Belichick vs. young upstart head coach Sean McVay (turns 33-years old on January 24th). At Quarterback, five-time Super Bowl champion Tom Brady vs. third year QB Jared Goff. At age 41, Brady is older than both the quarterback and head coach of his opponent. Of course, one of the main keys to victory for New England, will be the ability of the offensive line, to somehow neutralize the devastating pass rush of Rams All-World DL Aaron Donald. It is important to note, the Belichick/Brady legend began with a 20-17 victory over the heavily favored St Louis Rams in Super Bowl XXXVI on February 3rd, 2002. Fast forward, and exactly 17 years later, to the day, comes the rematch. Many things have changed since that first meeting – Not only was the Rams franchise still located in the Midwest, but current Rams coach Sean McVay was still in high school, and current Rams quarterback Jared Goff was still in Elementary school. In the storied Bill Belichick era, the Pats have played in eight Super Bowls. They have represented the AFC in the last three seasons. Most recently, they lost a 41-33 thriller to the Philadelphia Eagles in Super Bowl LII; a team which they previously defeated 24-21 in Super Bowl XXXIX in 2005. Tom Brady has been the QB through all of it, which easily makes this the most successful coach/quarterback combo in NFL history. The Rams may very well have all the right stuff to topple the mighty Patriots. 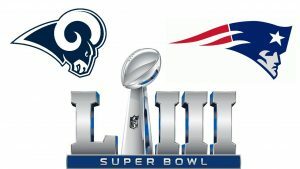 At least history may be on the side of the Los Angeles franchise – the Pats have a record of 0-2 in Super Bowl rematches (lost to the New York Giants in Super Bowl XLII and again in the rematch, four years later). During the 2018 regular season, the Rams had the league’s second-highest scoring offense, while the Patriots ranked fourth. Both teams won their respective divisions. In the Conference championship games, New England knocked off the Kansas City Chiefs (highest scoring team in the NFL), while the Rams bumped off the New Orleans Saints. Both the Pats and Rams were road teams, and both championship games were decided in overtime. Both squads appear primed and ready. Only thing left to do, is sit back and count the days until kickoff and then enjoy the drama. The storyline almost writes itself. This should be one for the ages. The New England Patriots have made it to an Eighth straight Conference championship game and will now face KC. In the NFC, the Rams will go to the Big Easy, in hopes of toppling the Saints and advancing to Super Bowl LIII. 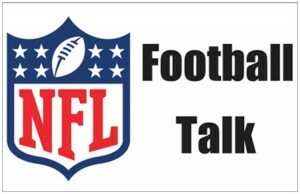 Game predictions, the latest NFL news and the best NFL gambling advice – we are hitting on 90% of our gambling picks – Click here to listen on Podbean ! 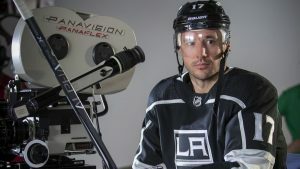 Will Ilya Kovalchuk and the LA Kings get a Hollywood ending ? On Sunday , Dec 2, Los Angeles Kings forward Ilya Kovalchuk underwent an ankle bursectomy procedure that will sideline him for about four weeks. The Russian forward spent the previous five seasons with SKA St. Petersburg in Russia’s Kontinental Hockey League before the Kings signed him as a free agent on June 23 of this year. The three-year contract is worth $18.75 million. The veteran forward’s role on the team has seemed to lessen under interim head coach Willie Desjardins, as he had not been getting much playing time as of late. Desjardins has used Kovalchuk as a bench-warmer for long stretches in recent games and is still processing which line his veteran player would be most effective. His best NHL season was in 2005-06. As a member of the Atlanta Thrashers, he scored 52 goals and had 46 assists. In all, “Kovy” tallied 417 goals and 399 assists in 816 regular season NHL games played, prior to joining the KHL in 2013. Hopefully, when Kovalchuk returns to the lineup, Desjardins will be able to solve the puzzle and place him on a line where he can be most productive – The Kings are still searching for consistency as they hover near the bottom of the standings. 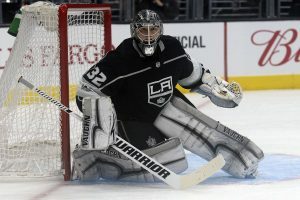 the Los Angeles Kings are about to embark on a four-game East coast road trip which will see them face the Detroit Red Wings, Buffalo Sabres, Columbus Blue Jackets and Pittsburgh Penguins. 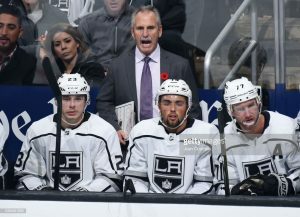 At the helm for the Kings, is interim Head coach Willie Desjardins, who took over on November 4, when former Head coach John Stevens was relieved of his duties. Although the team still sits near the bottom of the standings, the season is young and there is still hope. When Desjardins took over, he knew it was going to be tough and did not promise any quick solutions, although he has tried to instill a sense of urgency upon the players. He may also feel that urgency, because his contract only lasts until the end of this season. “You’ve got to find a way to make this season work,” Desjardins said. “What exactly it is, we’ve got to find out.” So far, the Kings are still searching. He had some success coaching the Vancouver Canucks from 2014-17; his first NHL head coaching gig. Desjardins also took the Canadian national team to an Olympic bronze medal last February, so he has both experience and credibility. The Kings are a tough assignment for him. They haven’t been able to reach the caliber of play they experienced during their Stanley Cup championship seasons in 2012 and 2014 while being led by head coach Darryl Sutter, who is now retired. There are some top-notch players that remain on the roster which includes Drew Doughty, Anze Kopitar, Jeff Carter and Jonathan Quick. When Desjardins first took over, he didn’t want to immediately alter the Kings’ playing methods, so he’s been leaning on assistant coach Dave Lowry, as he tries to get more productive results while using basically the same schemes used under Stevens. While with the Canucks, Desjardins was known to make unusual lineup decisions. This philosophy seems to have transferred over to the Kings, as most notably, he made a decision to use veteran sniper Ilya Kovalchuk on the fourth line instead of the first two lines where he usually plays. Some weaknesses that he’s trying to turn into strengths, are the Kings inability to generate goal-scoring, meager shot creation, team defense, and an inconsistent power play. Time will tell if it is about the new coach or the players are simply not getting the job done. This road swing, against four playoff-caliber teams, should reveal a lot about the coaching of Desjardins and the character of the team. 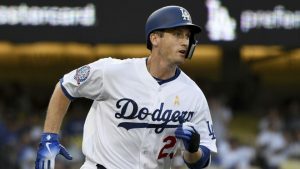 On August 31, 2018, in a trade with the Pittsburgh Pirates, the Los Angeles Dodgers acquired infielder David Freese and his 2011 MVP Cardinals World Series championship experience. On Saturday, September 1st, against the National League Western Division rival Diamondbacks, Dodgers Manager Dave Roberts didn’t waste any time, as he inserted Freese into the lineup at first base, batting in the fifth spot for his debut. Freese brought a gift to the party be hitting safely in his first at-bat, a solid single and finished the game going 1-for-2 with a hit by pitch and displaying a stellar performance in the field. Thanks to Matt Kemp’s clutch come-from-behind three-run homer in the bottom of the eighth, the Dodgers went on to win 3-2 and took over sole possession of first place in the West. This was a great way for Freese to celebrate his debut, as the Dodgers are furiously battling the Arizona Diamondbacks and Colorado Rockies for supremacy in the NL West. Freese has hit the ball well in his last 24 games since July 26, batting .308 with 10 runs, four doubles, four home runs and 17 RBI while still with the Pirates. This was a timely addition, since Chris Taylor is experiencing a hitting slump this season with the most strikeouts in the majors, a productive bat was needed to fill that void. To that end, Dodgers general manager Farhan Zaidi decided to add one final addition before the deadline for postseason eligibility (August 31 waiver deadline); trading minor league infielder Jesus Manuel Valdez on Friday night for Freese. The newly acquired 35-year old will be utilized as a right-handed hitting platoon option at first base and might occasionally play third to give Justin Turner some rest. Eight hours before Freese was added to the roster, the Dodgers also acquired veteran reliever Ryan Madson from the Nationals who will be a threat coming out of the bullpen. So far this season, Max “Mad Max” Muncy has been a pleasant surprise for the Los Angeles Dodgers. 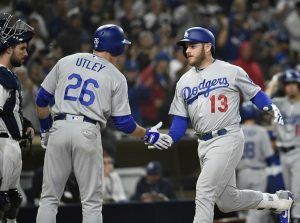 On July 1, 2018, in a 6-4 win over the Colorado Rockies at Dodger Stadium, Muncy, getting his fifth start at second base, reached base safely in all four plate appearances, going 2-for-2 with two walks and also scored two runs. He has reached base safely in 30 of his last 32 games since May 23, hitting .297 with 22 runs, three doubles, 12 home runs and 20 RBI. He’s ranked #18 in the majors, along with five other players, with 17 homers, ten of those coming in June. Muncy is primarily a first and third baseman and started more games in the minors in left and right field than he did at second. At the moment, the Dodgers are willing to let him play second and learn how to defend at that position in order to keep a productive bat in the lineup. The Dodgers don’t mind that he didn’t play any games at second when he was in Triple A. 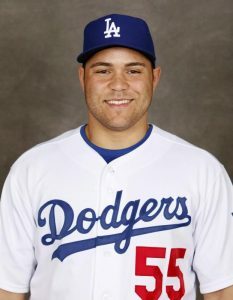 The 27-year-old Midland, Texas native was drafted by the Oakland Athletics in the fifth round of the 2012 MLB draft. After being released before the 2017 season, Muncy signed a minor league contract with the Dodgers on April 27, 2017 and assigned to Triple A Oklahoma City. In 109 games, he hit .309 with 12 homers and 44 RBI and then called up to the Dodgers on April 17, 2018. The 2018 season found the Dodgers starting off injury-plagued, losing Corey Seager to a season-ending injury, Clayton Kershaw on the DL twice, Hyun-Jin Ryu hurt and slugger Justin Turner also starting the season on the shelf. The Dodgers record was 16-26 on May 16 and it seemed hopeless. Fans were doubting that they could recover. And then there was Muncy to help save the day. Now, he’s the best power-hitter on a surging Dodgers team. Muncy’s rise to the top has unfortunately moved veteran second-baseman and fan-favorite Chase Utley to the back burner. Utley recently returned from the DL and remains primarily a pinch-hitter. He’s batting .188 as a starter and .421 as a pinch-hitter. Manager Dave Roberts has high hopes for Muncy and also wants to keep Utley active.